Hosting a flamingo themed bachelorette party? 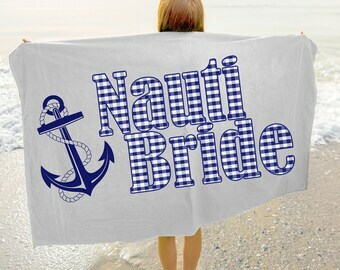 We have you covered with this beach towel for the bride... It's my flocking Bachelorette! 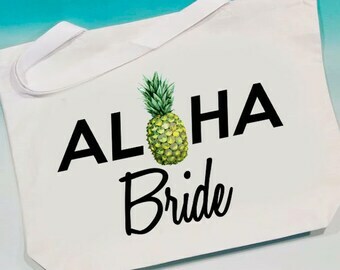 Check out my other listings as we have coordinating beach towels for the rest of the wedding party as well! 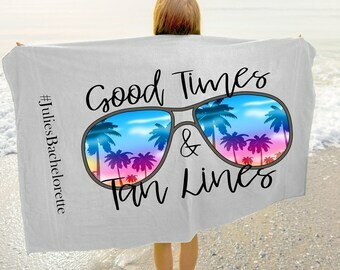 Stand out on the beach or at the pool and remind everyone why you are there celebrating! If you would like to add a name or date, I can sure do that - just message me! Keep in mind that will add a couple of days to the production time! -Material: Super Plush 5.5 oz. Sheared microfiber 100% polyester face and reverses to 100% cotton terry loops. Since our products are made to order, our processing/manufacturing time is 3-5 business days. Please make sure to take into account that shipping time will be on top of that. If you need your order faster than that, don't hesitate to message us. We can look at a production time upgrade, as well as upgraded shipping options. 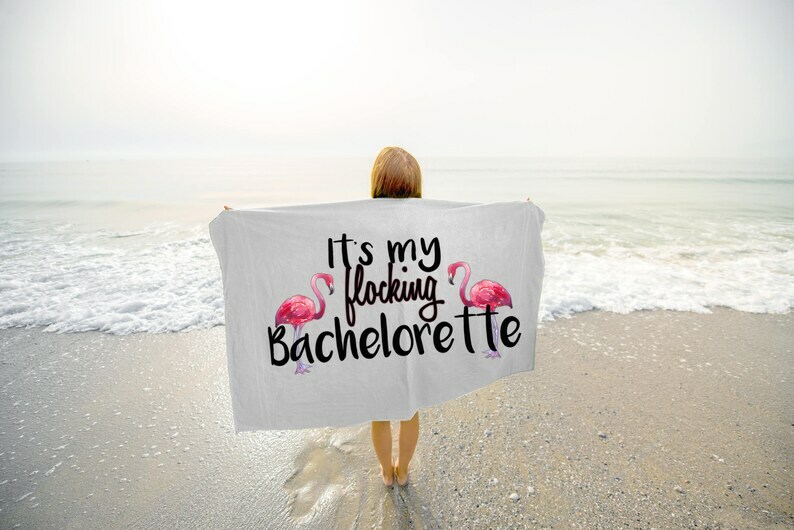 Bride's Flock Beach Towel | Flamingo Bachelorette Party Essential | Be a Flamingo in a flock of Pigeons | *Design Choice! Flamingo Bachlorette Party Pillowcase | Flamingo Bride Pillowcase- Bachlorette Party Hotel Decorating Made Easy!